TSA Fail: Delta Airlines Passengers Mistakenly Carries Her Gun & Ammunition On Japan Bound Flight – ENTRY DENIED !! Our guardians of public safety – the TSA – at her U.S. gateway in Atlanta, GA didn’t detect it either, a fact that ultimately lead to this calamity and therefore the firearm didn’t just had to be declared to the cabin crew but also Japanese authorities upon arrival. You can access the story on The Tokyo Reporter (see here). 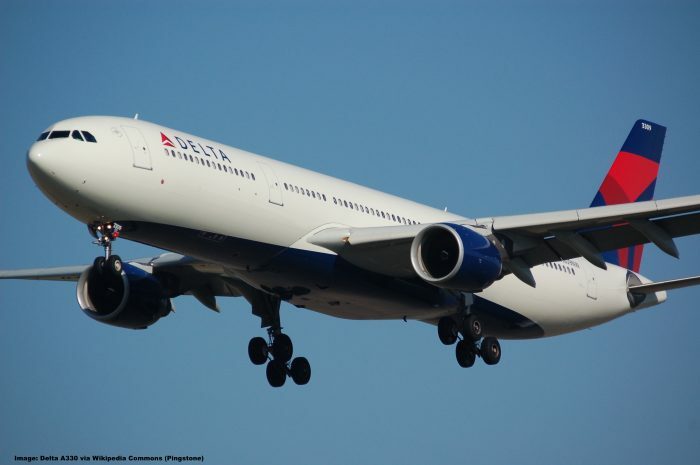 An American woman who was found to be in possession of a gun on a Delta Air Lines flight earlier this month was denied entry to Japan, officials at Narita International Airport said on Friday, reports Sankei Sports (Jan. 11). The woman, aged around 30s, was found with a pistol and an unspecified amount of live ammunition inside the cabin of the plane prior to its arrival at Narita International Airport on January 3, the officials said. The matter emerged after the woman confessed to a cabin attendant that she had brought the gun and ammunition onto the flight “by mistake.” The officials believe a lapse in security allowed the woman to board the flight, which originated in Atlanta, Georgia. After the landing of the plane, the woman was denied entry to Japan. That same day, she was returned to the U.S., the officials said. Japanese law is extremely tight about any sort of weapons, in fact the weapons law of Japan begins by stating “No one shall possess a firearm or firearms or a sword or swords”. Japanese citizens are however permitted to possess firearms for hunting and sport shooting though this involves a stringent licensing procedure that usually takes years. As such it’s not surprising that the authorities would turn the individual back and deny her entry to the country even if it was a stupid mistake. Likewise would U.S. authorities not take too kindly on someone arriving states side in the same situation, you could probably be lucky if they ain’t charging you with something on top of it all. A lapse in security? No sh#t! The TSA received a $7.7 Billion budget so the public is kept safe yet a passenger just walks onto the airplane with a handgun and ammunition in her pocket. And she didn’t even try to hide and conceal it. Happy New Year! This makes you wonder what other things are flying with us on a daily basis but hey I feel a lot safer that the TSA asked the 70 year old lady in front of me to empty her water bottle last week.